Are you experiencing itchy, runny nose, sneezing, nasal blockage, excess tearing and itchy eyes? On the worst part, you probably can't get to sleep at night, and during the day you can't concentrate at work. It's those time of the year of Cedar Pollen allergy, or Mountain Cedar allergy/ hay fever in the American term. Pollen allergies have hit more and more Japanese over the last 30 years. Pollen from cedar trees has created conditions unique to Japan. Vast amounts of the pollen drifts over wide areas every year, from the late February to early May, and during that time you're likely to see people wearing masks wherever you go. From around 1949 to 1970, huge numbers of Japanese cedar trees were planted in many parts of the country. Wood was in great demand for new housing, because many people had lost their homes to fire during World War II, and because of the post-war rise in the number of nuclear families and demand for housing in growing cities. The market focused on Japanese cedar trees because they grow fast. Planted cedar forests now cover 12% of Japan's total land area—that's more than 17,400 square miles. 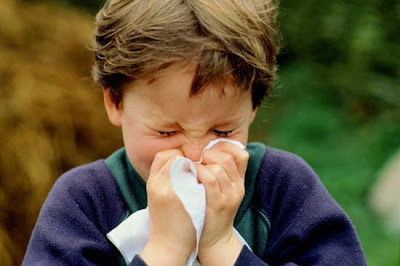 The trees start producing pollen when they are about 30 or 40 years old, so the increase in wind-borne pollen volumes just about coincides with the increase in the number of pollen allergy sufferers. Staying indoors won't automatically protect you but it can help immensely. Cedar pollen is usually strongest in the mornings, especially from 5am to 10am. When you must be outside for extended periods of time, do it in the afternoon or evening when pollen counts may be lower. Wearing a mask when you're outside to protect against inhalation of the pollens. After being outside for an extended time, take a shower and wash your clothes to remove cedar pollen that you may bring in on your clothes and in your hair. Take evening showers so that you aren't sleeping in a pollen-coated bed all night. Keep windows and doors closed both in your home and in your car when travelling to minimize exposure to cedar pollen. * Use the air conditioner/ air purifier and use aromatherapy. When cedar pollen counts are high, run your air conditioner. Frequently change your filter, use a HEPA filter, or place cheesecloth over your vents to help filter more pollen. Good essential oil when diffused, can purify the air. * Clean your furniture regularly. Keep your home as dust-free as possible. Dust with a damp cloth and keep carpets and upholstery vacuumed. This will reduce not only the pollen counts but also get can keep away of dust mites. In addition to showering to rinse cedar pollen off of yourself, bathe your pets as well, even if they stay indoors all the time. Their fur traps pollen. As much as you love your pets, it is not advisable to keep your pets on your bed. * Take allergy medicines, only when necessary. Take your prescribed cedar allergy medications as directed by your doctor. Otherwise, seek alternative medicine. The best doctor of course would be a lot of warm water and fruits.